Watches from Guido Panerai & Figlio are deeply connected to the history of the Royal Italian Navy during the Second World War. 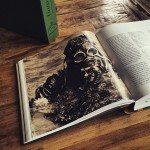 In our book “The References” we have included an overview of the missions of the “Decima” aside the legendary watches, which were an important part of the units of the underwater (“Mezzi Subacquei” / “Gamma” frogmen and SLC) and surface (“Mezzi di Superficie” / explosive boats) special forces of the Decima MAS (“Mezzi d’Assalto”). 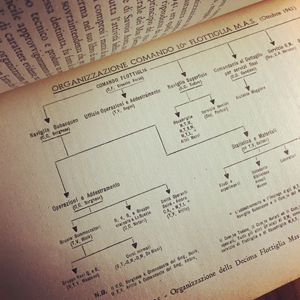 After the disaster at Malta in July 1941 (“Operazione Malta 1”), the Decima MAS was restructured. Capitano di Fregata Ernesto Forza became the new commander of the Decima MAS. The underwater division was given the name of the fallen inventor of the SLC, Teseo Tesei, now commanded by Junio Valerio Borghese. The surface division was given the name of the fallen commander of the Decima, Vittorio Moccagatta, now commanded by Salvatore Todaro (the photo below shows a historical chart of the new structured Mezzi d’Assalto as of October 1941). 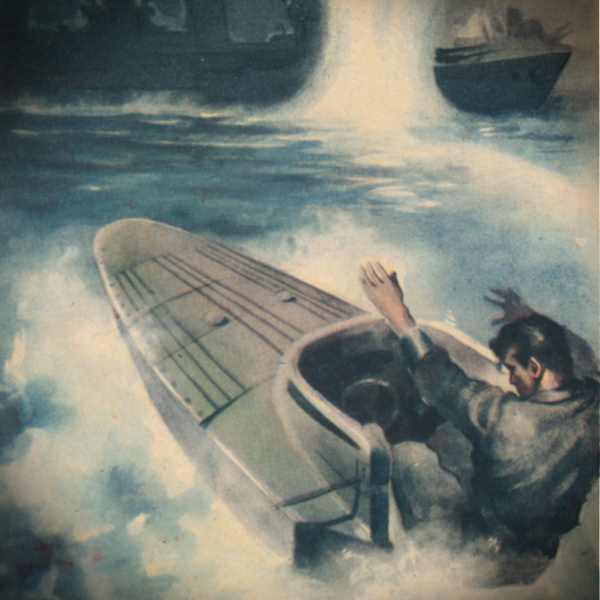 Chapter I and II of the first volume (1930’s-1940’s) carry the history of a new weapon – the SLC slow running torpedo, called “maiale” – and the men who trusted on the watches from Guido Panerai & Figlio during their dangerous missions in deep and darkness of the mediterranean sea. Because of the significance of the fascinating history behind these watches, we have dedicated our new book “The References” to the inventors of the SLC, Teseo Tesei and Elios Toschi. Chapter II of “The References” features some of the rarest Panerai watches owned by famous and high decorated Italian veterans. 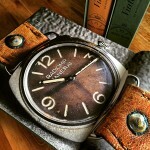 The first watch of the Reference 3646 / Type A, featured in chapter II.I, belonged to Admiral Ernesto Notari. He was awarded with the Silver Medal for Gallantry at War (M.A.V.M.) for the mission B.G.6 in May 1943. The documentation of the watch (see above page 70-71) and the history of Ernesto Notari, including a summary of the “Mezzi d’Assalto” missions until 8 September 1943 can be read from page 58 to 153 in chapter II.I. Chapter II.II, about the watches of the Reference 3646 / Type B, features the watch of the legendary “Gamma” frogman Luigio Ferraro. He was awarded with the Gold Medal for Gallantry at War (M.O.V.M.) for his “Stella” missions in the eastern part of the mediterranean sea in 1943. The documentation of the watch (see above page 190-191) and the history of Luigi Ferraro can be read from page 190 to 225 in chapter II.II. The documentation of the watch (see above page 352-353) and the history of Licio Visintini can be read from page 350 to 397 in chapter II.III. Information on “The References” 1930’s-1940’s (first volume) can be found here. 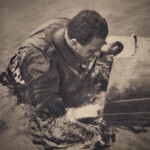 The surface division – Mezzi di Superficie – under the command of Capitano di Corvetta Giorgio Giobbe (see photo on page 115, commander Giobbe wearing clearly visible a Panerai watch on his right wrist) had a fleet of various explosive boats (category MT, MTM, MTR, MTS, MTMS, SMA and MTL) for sabotage operations, based in La Spezia. 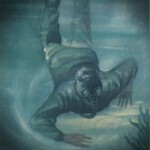 The underwater division – Mezzi Subacquei – under the command of Capitano di Corvetta Junio Valerio Borghese operated the diving School in Livorno, the SLC training base at Bocca di Serchio, the transport submersibles (Scirè and Ambra) and the frogmen of the “Gruppo Gamma”. Ernesto Notari became commander of the SLC training base at Bocca di Serchio. His Ref. 3646 / Type A “Radiomir Panerai” (with its unique engraved caseback) is documented on page 58 – 91. Read more about the Mezzi d’Assalto on page 92 – 153 in chapter II.I of the book “The References” 1930’s-1940’s. Since 1992, the Vintage Panerai watch which was worn by SLC pilot Ernesto Notari during the Second World War, is on display at the Museo Tecnico Navale in La Spezia. Back then, the watch’s first owner decided to give the watch to the museum on his own wish. It was accepted into the museum’s inventory and since then, it has been on display in a cabinet with other rare items from the Mezzi d’Assalto, where it is resting on one of the last remaining SLC devices. In its unaltered original condition, it was an important source of information for us. With the support of the museum we were able to enter all details of the watch into our database. Beside the importance by the history behind, this watch marks the earliest known 3646 / Type A and so became the first watch in chapter II. With its engraved caseback it is of enormous significance with regard to the history of the Mezzi d’Assalto of the Royal Italian Navy. 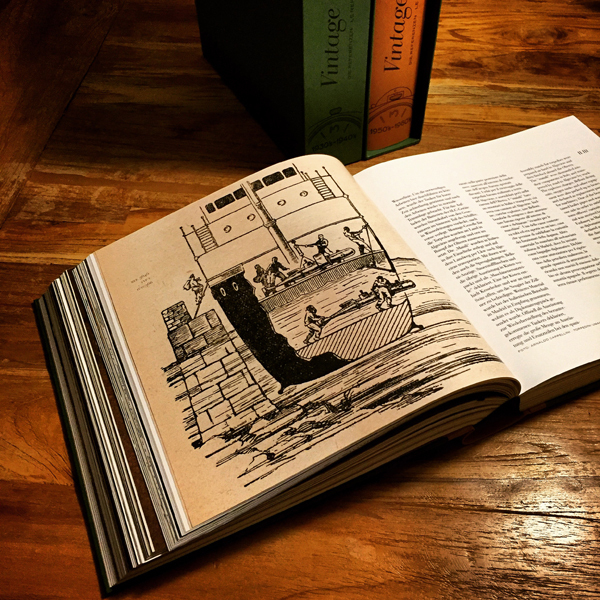 Page 60 – 61: Comparing photos of Ernesto Notari’s Ref. 3646 / Type A from 2014 and 2008. Being a member of the Mezzi Subacquei, Ernesto Notari trained at Bocca di Serchio, the secret base of the underwater special unit in Tuscany. In early 1940, the first training exercises were carried out, resulting in the 1935 concept of Teseo Tesei and Elios Toschi evolving into a real, secret weapon. After the desaster of Malta in July 1941, Ernesto Notari was commander of the training base Bocca di Serchio. In 1943 Notari posted to the secret base in the Bay of Algeciras, the Olterra. After the successful return from mission B.G.6 in May 1943, Notari was awarded with the M.A.V.M. (silver medal for galantry at war) in the rank of Capitano di Corvetta. He solved another successful mission in August 1943: B.G.7, for which he was awarded M.A.V.M. one more time. B.G.7 was the last mission carried out from the tanker Olterra. The declaration of the ceasefire by Italy on 8 September 1943 brought all further plans to an end. 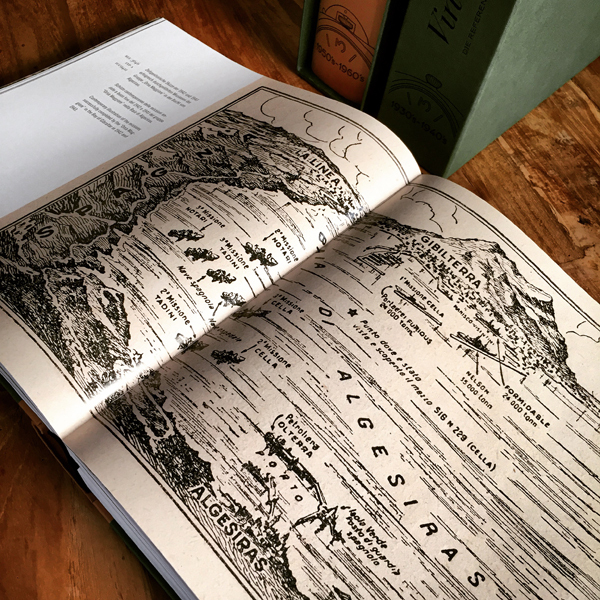 The secret of the Olterra was only discovered by the British in October 1943. The undercover missions of the Decima MAS in Gibraltar were therefore highly successful. Although they did not have any major successes like in Alexandria, the continued presence of the Decima for a period of almost three years exercised constant pressure on the British. The use of Villa Carmela and the Olterra as secret starting bases for night-time missions showed the decisiveness of the Decima MAS and its courageous men – one of whom was Ernesto Notari. Page 150 – 151: Illustration of the missions completed by the “Orsa Maggiore” in the Bay of Algeciras in 1942 and 1943. After the Second World War, Ernesto Notari continued his career with the Marina Militare. As a Capitano di Fregata, he commanded the reformed special unit from 10 October 1947 to 25 September 1948. As a Capitano di Vascello, Notari served his second captaincy from 1 October 1950 to 14 March 1951. In 1952, he assumed command of the Sezione Tecnica Autonoma in Bacoli. The secret base in the province of Naples existed from 1949 to 1957 before being moved to Varignano as part of a restructuring process . This site was home to some of the remaining Mezzi d’Assalto equipment. By the end of his Navy career, Ernesto Notari had reached the rank of Vice-Admiral (Ammiraglio di Squadra). Page 92 – 93: About the first owner of the watch, Admiral Ernesto Notari, photo taken after the Second World War. The watch of Ernesto Notari (a Ref. 3646 / Type A with „Radiomir Panerai“ dial) and the history behind can be read in the book “The References” 1930’s-1940’s (chapter II.I, page 58 to 153). Read more on the Olterra here. Enjoy reading! Enemy ships in the harbour of Gibraltar have been in the sight of the Royal Italian Navy since September 1940. After several attacks by “Gamma” frogmen and SLC units, ideas to build a secret base of the Decima MAS were realized in the second half of the year 1942. Convoy ships for the United States were beginning to arrive in quantity. The numbers of potential targets at anchor in the Bay of Algeciras were growing almost daily. 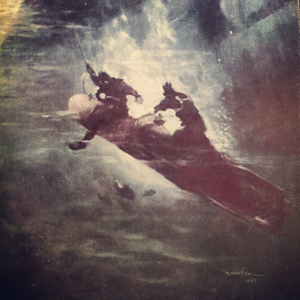 Earlier in 1942, a base for the Decima MAS “Gamma” frogmen was established in the Villa Carmela near La Linea from where several missions were carried out against British merchant ships (see page 126-131 / chapter II.I). During the months of shaping Villa Carmela into an advanced base, the idea for a bigger and much more effective operation had taken form in the mind of Licio Visintini, one of the SLC pilots of the mission B.G.4 in September 1941 (see page 374-381 / chapter II.III) which was carried out from the submarine Scirè. Before the new base was ready for action, each attack at Gibraltar had required a long submarine voyage, air and land transportation of the attack-teams, the shipping of supplies and weapons, arrangements for rendezvous, an approach by submarine, and finally the task of smuggling the survivors back to Italy thru neutral Spanish territory. Licio Visintini’s idea became real with turning the anchored ship Olterra inside the pier of Algeciras into a secret base for SLC missions. Visintini and further technical specialists replaced the original crew of the Olterra. An assembly workshop for the SLC devices (which arrived in sections, declared as spare parts for the damaged ship) was established in the hull. A portside cabin of the Olterra became the observation post with an excellent view of Gibraltar harbour. Finally, a folding door on the port side bow (see coffee table shot of page 386-387 /chapter II.III) became the exit door for the SLC units below waterline to reach their targets – and to return back into the hull of the Olterra. 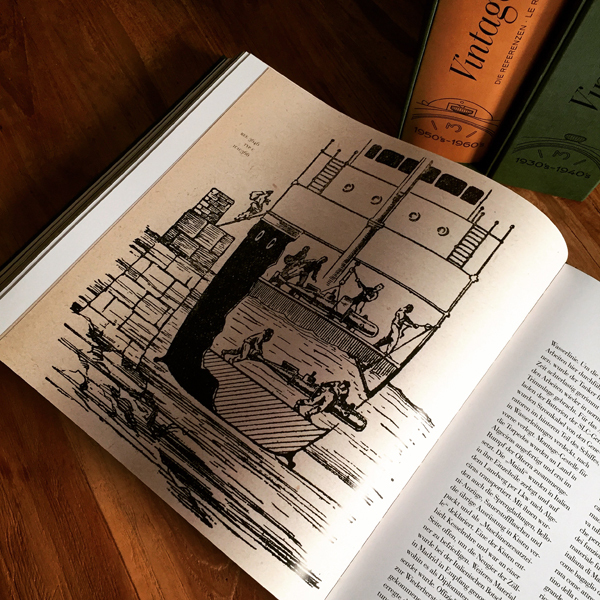 After months of intensive work in total secrecy, the inconspicious ship Olterra was turned into a Trojan Horse – “il cavallo di Troia” – and six men were ready for action with their SLC devices. The Olterra was starting point of the following SLC missions against enemy ships in the bay of Algeciras / Gibraltar harbour: B.G.5 (7/8 December 1942), B.G.6 (7/8 May 1943) and B.G.7 (3/4 August 1943). Our book “The References” 1930’s-1940’s features two Ref. 3646 watches which were used during these missions. The Ref. 3646 / Type A “Radiomir Panerai” watch of Ernesto Notari is featured in chapter II.I (page 58-91 / see coffee table shot on the left) – more on this watch and its history can be found here. The Ref. 3646 / Type C “Radiomir Panerai” watch of Licio Visintini is featured in chapter II.III (page 350-367) – more on this watch and the history behind can be found here. The new “The References” books can be ordered only in our bookstore. Watches from Guido Panerai & Figlio are deeply connected to the history of the Royal Italian Navy during the Second World War. In our new book “The References” we have included an overview of the missions of the “Decima” aside the legendary watches, which were an important part of the units of the underwater (“Mezzi Subacquei” / “Gamma” frogmen and SLC) and surface (“Mezzi di Superficie” / explosive boats) special forces of the Decima MAS (“Mezzi d’Assalto”). 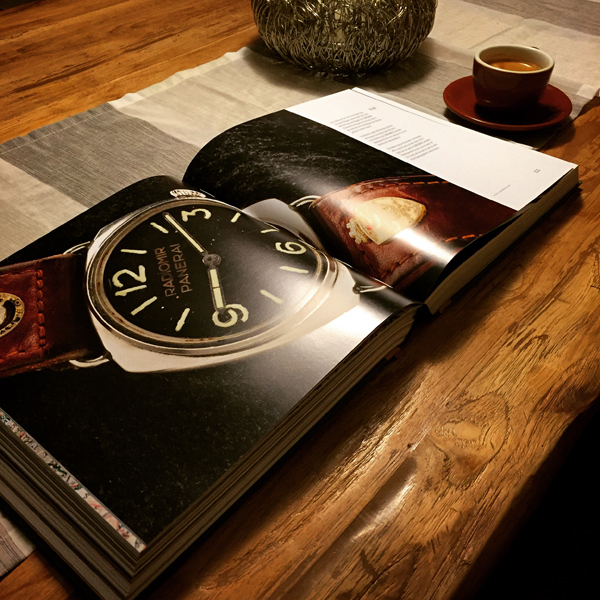 Chapter II of “The References” features some of the rarest Panerai watches owned by famous and high decorated Italian veterans. The first watch of the Reference 3646 / Type A, featured in chapter II.I, belonged to Admiral Ernesto Notari. He was awarded with the Silver Medal for Gallantry at War (M.A.V.M.) for the mission B.G.6 in May 1943. The documentation of the watch and the history of Ernesto Notari, including a summary of the “Mezzi d’Assalto” missions until 8 September 1943 can be read from page 58 to 153 in chapter II.I. Chapter II.II, about the watches of the Reference 3646 / Type B, features the watch of the legendary “Gamma” frogman Luigio Ferraro. He was awarded with the Gold Medal for Gallantry at War (M.O.V.M.) for his “Stella” missions in the eastern part of the mediterranean sea in 1943. The documentation of the watch and the history of Luigi Ferraro can be read from page 190 to 225 in chapter II.II. A watch of the Reference 3646 / Type C which belonged to the SLC pilot Licio Visintini is featured in chapter II.III. Visintini took part in several missions against the allied fleet in Gibraltar. After surviving from mission B.G.3 and B.G.4 in 1941, Visintini returned undercover to Gibraltar in June 1942 where he built the core of the “Orsa Maggiore” on board the tanker Olterra – the hidden base for the SLC units of the “Decima” in the bay of Gibraltar (see coffee table shot on the left). Mission B.G.5 turned into a “mission with no return” for Licio Visintini in December 1942… The documentation of the watch and the history of Licio Visintini can be read from page 350 to 397 in chapter II.III.